Make a bold statement with this unique cuff. 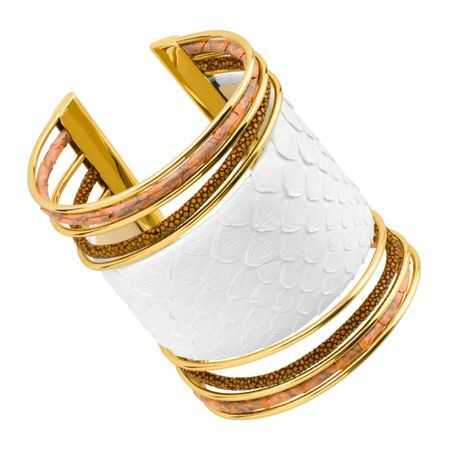 This wide-faced cuff bracelet features genuine stingray and python leathers in red, white, and brown for an earthy piece with classic 18K gold-plated brass accents. Piece measures 7 1/2 by 2 7/8 inches.